Like us on Facebook to stay up to date on events and all the great things our members have going on! 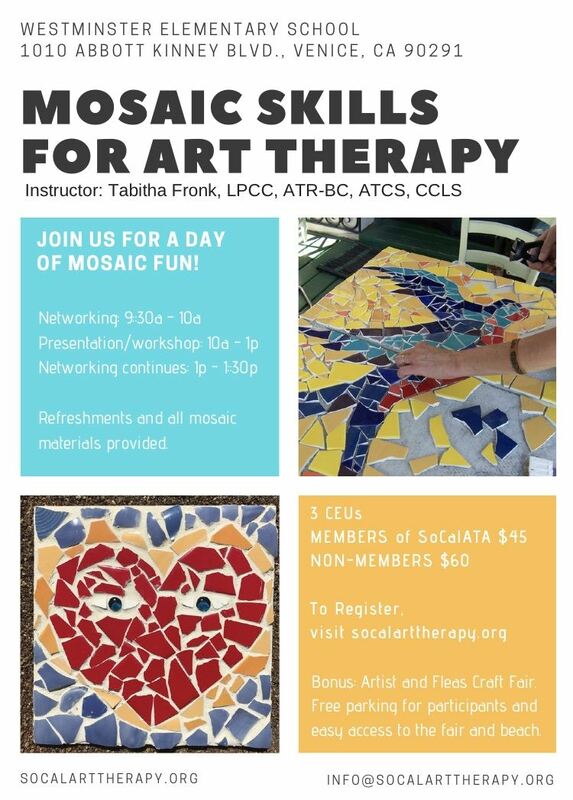 MOSAIC SKILLS FOR ART THERAPY HAS BEEN POSTPONED UNTIL A LATER DATE. WE ARE NO LONGER ACCEPTING REGISTRATIONS.